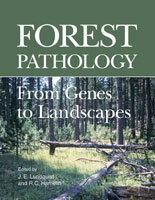 The Introduction provides background on the botany and diseases of conifers, up-to-date information on climate change and fungal taxonomy, and a comprehensive list of both classic and current publications about forest pathology. Part I, Biotic Diseases, is organized by parts of the tree affected and by specific pathogens; five new Phytophthora diseases have been added to this edition. The discussion of each disease describes typical symptoms, identifies the causal organism, outlines the life cycle and epidemiology, recommends strategies for management, and offers sources of additional information. Part II, Abiotic Disorders, addresses common and significant abiotic disorders along with physiological conditions that can mimic abiotic injuries. Climatic factors, human influences, and stress-related disorders are covered, and details about species affected and regional distribution are provided in discussions of disorders such as fall needle drop, pole blight, and yellow cedar decline. 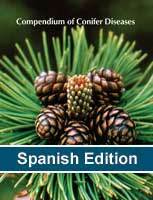 Part III, Diseases of Conifers Grown as Christmas Trees, is new to this edition and provides key information for this specialty crop. Topics include production worldwide, preferred species of conifers, associated diseases and disorders, and effective management practices. 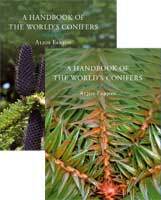 Part IV, Diseases in the Forest, is organized into sections that highlight the significance of conifers and the diseases that affect them in different regions of the world. 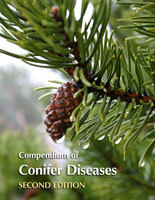 An appendix, Diseases of Conifer, provides a comprehensive list of conifer diseases organized by genera, along with the causal pathogens and their authorities. A glossary and index are also provided to help readers of all backgrounds understand terminology and find specific information. More than half the contributors are new to this second edition, and nearly all the articles have been updated or rewritten based on new understandings of diseases. Each article ends with a brief list of references to provide access to the relevant literature. 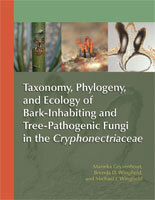 The taxonomic nomenclature has also been updated across the book, and new photos have been added throughout for a total of 280 high-quality illustrations.